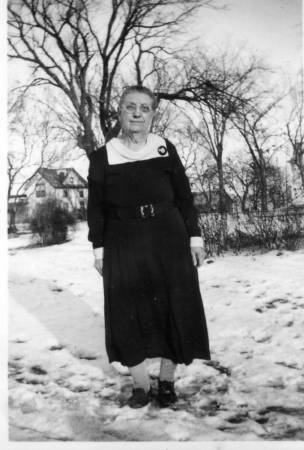 Born 8 March1897 Paris, Linn Co, IA, daughter go John Squire and Adeline A. (Garey) Grassfield. Killed in car accident 21 Nov 1957 Johnson Co, IA. Married 11 April 1917 Marion, IA to Adam Bremer Evans. 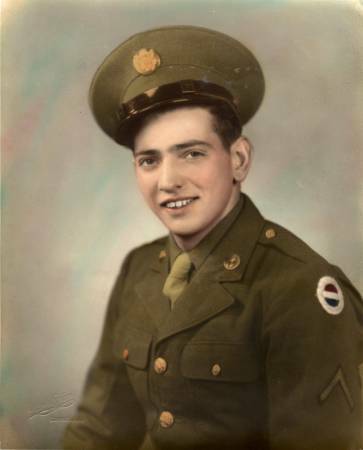 Born 3 Dec 1921 Paris, Linn Co, IA. Died 4 Feb 2005 Marion, IA son of Adam B. and Mignon (Grassfield) Evans. Married 1946 to Evelyn Evans. Parents to Robert E. and Teresa M.
Born 27 June 1852 Linn, near Paris, IA, son of Turner and Nancy (Fleming) Evans. Died 10 Nov 1936 Walker, IA. 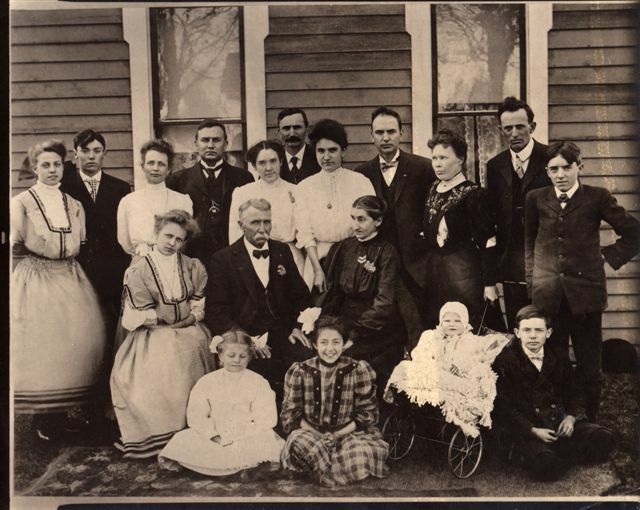 Married 2 Jan 1889 Marion, IA to Caroline Mary Bremer.. Parents of 2 sons, Adam Bremer Evans and George Turner Evans. 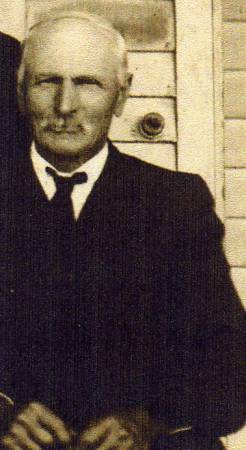 Born 17 July 1879 in Chicago, son of John Henry and Katherine Bremer. He died 26 Nov 1947 Chicago, IL. Buried Blodgett Cemetery, Linn Co, IA with family. It is this 50th Golden Anniversary of Peter and Ann (Johnson) Grassfield and their family. taken April 1857 Marion, IA. 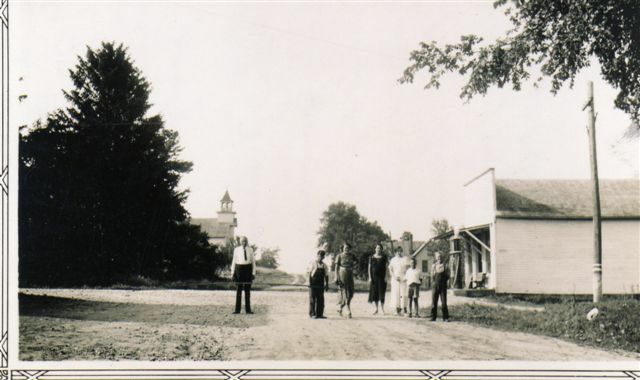 Family standing in back Bernice, Ralph, Gussie, Ethan Allen, Adeline, John S. Jennie, Peter All, Fr., Nellie, Edward T., Stuart W.
Looking north on main St Paris, IA. John S. Grassfield, Bobby Evans, Maxine Grassfield, Mignon Grassfield Evans, Ethel and Buddy Grassfield, Kenneth Warbasse. Picture taken 1933. 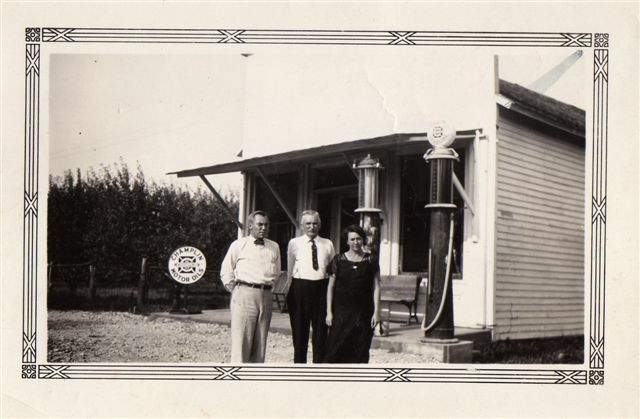 John S. Grassfield was the owner of Paris General Store. Peter Allen Grassfield, son of John and Anna Maria (Allen) Grassfield was born 14 June 1836 Ulster Co, NY. Died 17 Sept 1907 Marion, Iowa. 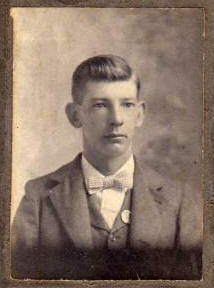 He married 5 April 1907 Linn Co, IA to Ann Johnson, born Aug 1840 in London, Canada. She died 2 Jan 1908 Marion. 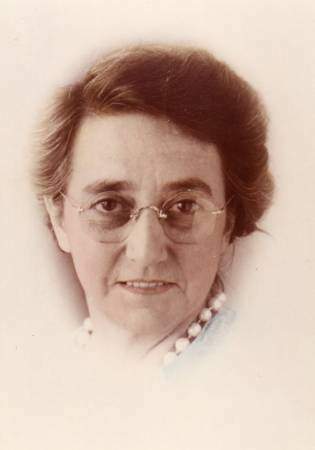 IA She was the daughter of Squire Johnson and Sarah Shipley Johnson. Peter and Ann are buried in Oak Shade Cemetery, Marion, IA. They were parents of six children, John Squire, Ethan Allen, Edward, Peter Allen, Jr., Maria, Jennie. Peter Allen Grassfield and two of his brothers served in the Civil War.